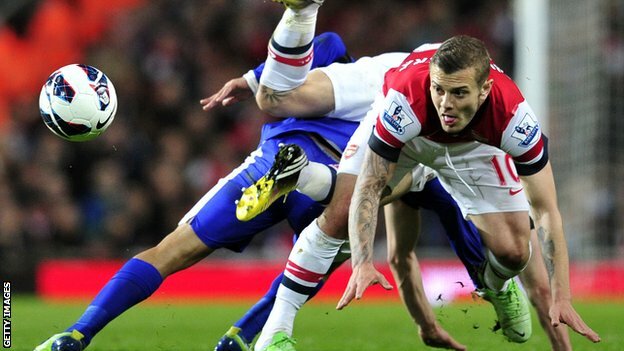 BBC- 14 June 2013 The number of fouls committed by Premier League players has dropped by 22% since 2006, according to figures released for the first time. "The gradual decline in free-kicks has made the game more fast flowing, more exciting and more entertaining," said referees' chief Mike Riley. Top-flight players committed 8,562 fouls in the 380 matches of the 2012-13 season at an average of 22.5 per match. "The Premier League is markedly lower in the number of free-kicks per game than the other top leagues across Europe," says PGMOL boss Mike Riley. "The game in Italy is slightly different - there are more stoppages and less physical contact - and the same is probably true in Spain as well. It is interesting that the trend across the top leagues in Europe has seen the number of fouls reduced too. "However, our game is more free-flowing, more physical contact and the spectacle everyone wants to see." Figures provided by the Premier League. In 2005-06, 10,886 fouls were committed at an average of 28.6 per match. However, last season's total is a slight increase from the 2011-12 campaign, when a total of 8,307 fouls were awarded at an average of 21.9 per match - the lowest figure in the past 10 years of top-flight football. The figures obtained by BBC Sport come after a season in which Arsene Wenger and Sir Alex Ferguson both complained about the level of physicality in the Premier League. Arsenal boss Wenger claimed referee Neil Swarbrick let "a lot of decisions go unpunished" after accusing Everton of "intimidation" when the sides met at the Emirates Stadium in April. But the Frenchman, who has previously spoken out against what he perceived as aggressive tactics by Stoke and Bolton, later said he thought one of the greatest strengths of the Premier League was its combative nature. Now-retired Manchester United manager Ferguson described a challenge by West Ham's Andy Carroll on keeper David De Gea as "an assault". The Scot said the striker, who was not punished for the challenge, should have been sent off. However, Riley says he has no concerns about the physicality of the top-flight. "The balance between physicality and player protection is right," said Riley. "Fewer free-kicks result in things such as an increase in average goals per game and average shots in the game. "Everything in the Premier League is moving towards an exciting game that people want to see. "You have to accept that football is a fast-flowing game, passionate and very committed - that's one of the attractions of the Premier League. And within that there will always be incidents where people take a different view. "It's important we analyse all refereeing decisions but then go to the players and managers to debate that analysis so that throughout the season we get a consistent line that everyone thinks is acceptable." Kevin Davies has conceded more Premier League fouls than any other player in seven of the past nine seasons. But he was also the most-fouled player in 2005-06 and 2008-09. Former Bolton striker Kevin Davies, who has frequently topped the Premier League charts both for committing the most fouls and having the most committed on him, added that football "should not forget" it is a contact sport. "You see a good, honest tackle and the crowd get up on their feet. It's something the fans enjoy," he told BBC Sport. Figures also show that the number of dismissals last season was the joint-lowest in 16 years. Referees issued 52 red cards, the same as in 2006-07 and the joint lowest since 1996-97 when there were 44 dismissals. In 2011-12 there were 66 sending-offs, with a record 73 being shown in 2005-06. Davies, 36, believes players are committing fewer offences as a result of more educational sessions between officials and players at training grounds. "There is a lot more educating going on and the referees do go into clubs, particularly at the start of the new season, to explain the new laws," said Davies, who will officially leave Bolton when his contract expires at the end of this month. "Players are made aware of what the FA and the referees are looking to clamp down on and you try to stay away from those areas and keep out of trouble. That certainly could go a long way to explaining why the figures have dropped so much. "I wouldn't say I had to adapt my game to avoid giving away fouls, but generally players are using more common sense." Riley, general manager of the Professional Game Match Officials Limited (PGMOL), believes modern-day players becoming increasingly conscious of their opponents' safety is another key factor. 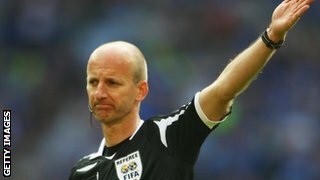 "The players ought to be given a lot of credit because they are taking great responsibility in protecting their fellow professionals," said Riley, 47, who was a top-flight referee for 13 years before becoming PGMOL boss in 2009. "They should be congratulated for that." Riley, who refereed at the European Championships in 2004 and took charge of the the 2002 FA Cup final, said relationships between officials, players and managers that were "better than ever" had also contributed to the declining number of fouls since 2006. But Davies thinks offences could be reduced even further if there was more liaison between referees and team captains during games. "When you go to speak to referees prior to a match with the other captain, they all say 'work with me during the game and if someone is giving me trouble, you have a quiet word with them and sort the issue'," he said. "That is something most referees stress to you but I think a lot more could back it up. Not enough of them do work with the captain, who can then go to the player.